On 2/26/13 West Yellowstone Dispatch received an emergency call for an injured snowmobiler on the Two Top Trail, near junction eight. 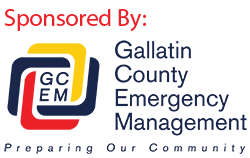 WY Search and Rescue, US Forest Service, Yellowstone National Park and Gallatin County Sheriff’s personnel were assigned to the event. Upon arrival it was found the victim had died despite resuscitative efforts of family members and friends on scene. A Deputy Coroner for Gallatin County Sheriff’s Office is investigating the death. The victim was identified as 66 year old Daniel Conniff of Brownsville, MN.